Enjoy the best inspirational, motivational, positive, funny and famous quotes by Andrea Brown. Use words and picture quotations to push forward and inspire you keep going in life! 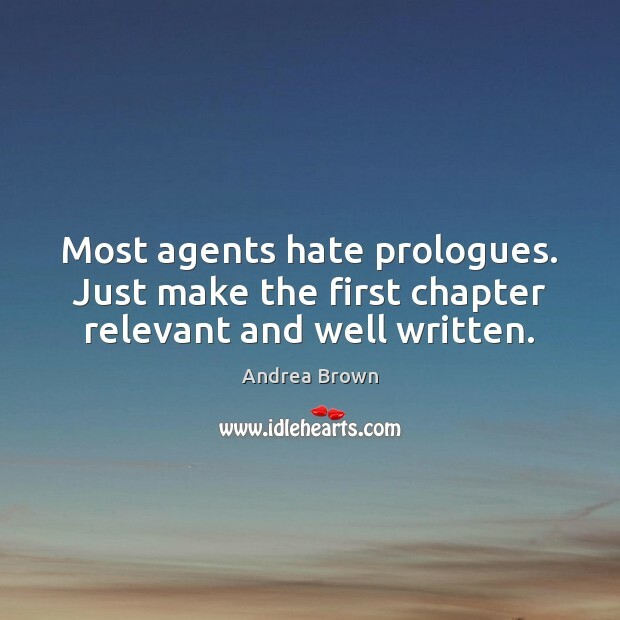 Most agents hate prologues. Just make the first chapter relevant and well written. 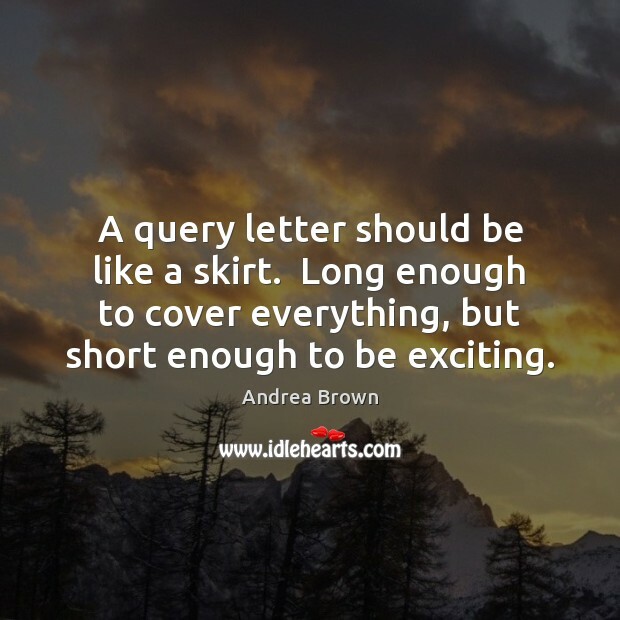 A query letter should be like a skirt. Long enough to cover everything, but short enough to be exciting. 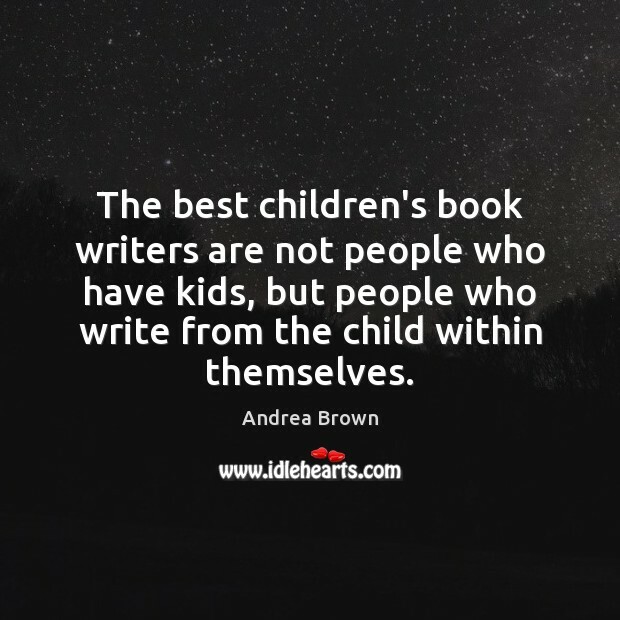 The best children's book writers are not people who have kids, but people who write from the child within themselves. 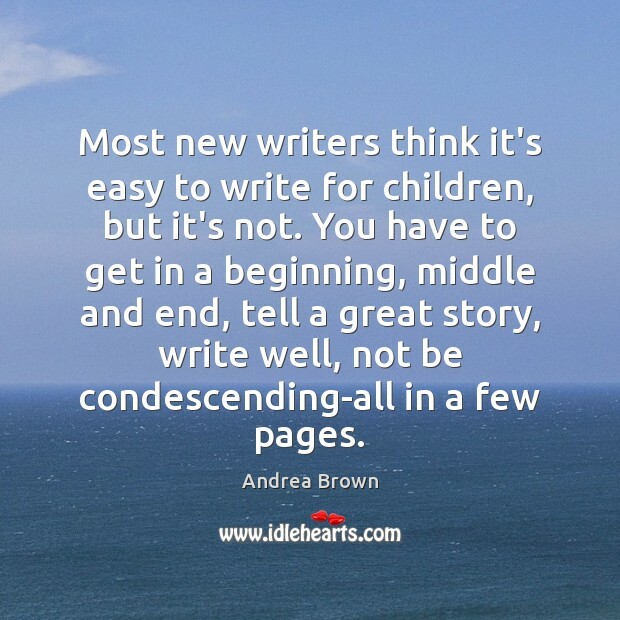 Most new writers think it's easy to write for children, but it's not. You have to get in a beginning, middle and end, tell a great story, write well, not be condescending-all in a few pages.